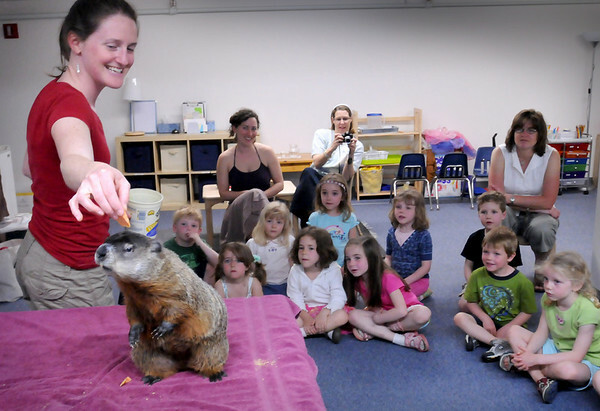 Newburyport: Leah Titcomb gives a groundhog a piece of sweet potato during a presentation at the Newburyport Montessori School on Tuesday morning. She's from Chewonki in Wiscasset, Maine which introduces children to their travelling natural history program. Bryan Eaton/Staff Photo Newburyport News Tuesday April 28, 2009.